I will never forget the feeling of sitting at the old Hub Theater in Rochelle watching the first Star Wars Movie. I was sixteen. I was not then, and am certainly not now, especially a fan of science fiction, but the epic battle portrayed in the story caught my imagination and stirred something within me: some recognition of truth and heroism and hope. And yes, the power of darkness. I'm not sure you can be alive in the part of the world I call home today and have missed the hype over the opening of the most recent Star Wars movie. With so many others, I wanted to see it, but I was afraid I would find it hard to follow. It has been 38 years since I was mesmerized by the first one and truth be told, I haven't seen every one since. I don't know what happened. I got busy. Or distracted. Or something. So the other day when I learned that my sister Martha had seen it, I asked her if I would 'get it.' I wondered if I would be lost since I had been away from the story for so long. "Oh," she said, "You'll get it. It's just good versus evil all over again." And sure enough. When I saw it this week-end, I realized she was right. It IS good versus evil all over again. Some of the more science fiction-y parts escaped me. And the older I get, I find myself becoming more and more non-violent, so I found little gratifying in the lives lost --- even if the enemy was mostly wrapped in anonymous storm trooper white. As I watched, I found myself reflecting that not a whole lot has changed since 1977 when I was first perhaps deeply recognizing the darkness which too much marks our world --- except perhaps the role of women in the film is much stronger and the special effects are that much more spectacular. In terms of overarching themes reflected on the screen, however, it is all much the same. For evil is still profoundly resilient. And this is so as well: we continue to cling to the hope that the forces for good are stronger still. For I find my heart aching in these past days to hear that two young men who returned to Chicago for Christmas break --- students from our own Northern Illinois University--- were killed by gun fire while home. There is still light and darkness. Good and evil. And one wonders if the light will prevail. I have spent a whole lot of time in this otherwise festive season walking alongside those whose grief is heavy. No matter their age, the one who died always died too soon and those left behind are left to sort out life without them. Yes, one wonders when or if the light will prevail for we live in a world where darkness threatens still to have the last word. War still rages in too many parts of the world and innocents are affected in ways that we cannot ignore their plight. Oh yes, we wonder still if the Light will have the last word or not. "The light shines in the darkness and the darkness has not overcome it..."
She spoke these words as she reflected on the shared moments of darkness the world has experienced in this last year. You can watch and listen here: The Queen's Christmas Message 2015. And yes, as you might expect this was true in the Star Wars movie which was mine to enjoy a few days back. Light wins. I do have to say this, though. Many will go to this movie to enjoy the special effects. And yes, many will be utterly convinced (if we are not already) that violence is the only way to combat violence. And yet, it seemed to me that the most powerful parts of the story were those which reflected love and sacrifice. For one's beloved, yes. And for one's beloved child. For this is always so. The message of today's Gospel is that the power of Light is not ours to use to destroy one' enemies. Rather, it is always ours to invite and encourage and somehow enable others to follow that Light which brings Life. Even those who seem to have been consumed by the power of darkness. Yes, even those. For in the end? Light itself destroys the darkness. Every time. Certainly others will address the theological parallels and themes of the latest Star Wars movie better than I. If you have seen it, how would you modify what I have offered here? It is easy to find signs of darkness in the world today. Where have you seen evidence of the light over which the darkness has not prevailed? For me the most meaningful parts of the movie are where love and sacrifice are joined. This seems to be the place where light prevails, even though they are marked by profound suffering. And this is our Gospel Story, too, is it not? One almost can't help but find oneself thinking about the cultural images of Christmas which surround us in these last days of Advent. Now there are certainly those who would hold fast to their certainty that Santa and his Reindeer and all the rest cloud the true meaning of the season. And while I cannot argue with that view, I find myself in these days looking a little more gently on our passing on of Santa Claus to our little ones. For I can't help but wonder if it is rooted in our desire to offer 'something more.' Something that can't quite be explained in the usual way. Something that allows us to believe at least for a little while that that which holds us to the earth can be denied. And maybe flying reindeer offer some semblance of that. This is how this came to me in these last days. I found myself driving through open country this week on the same road where, but a few months ago, I was hemmed in by lush green fields of ripening corn and beans, Now, however, you can see for miles. We have no snow to speak of. What little we did have has long since melted and we are left with acre after acre of stubble which remains after combines swept through and farmers harvested their crops. Driving by these frozen fields, I was taken back to a funeral I helped put together several years ago now. Their mother and grandmother died in summer, so as we sat at the kitchen table our gaze fell upon fields very different from the ones I passed by this week. The story told was of December nights, though, and how Grandma would be hard at work in the kitchen, making ready for the Christmas feast and urging the little ones to the window where they would see a red light bobbing across the open field: an approximation of Santa and his reindeer, with Rudolph in the lead. Grandpa was apparently the one who made his way out on those cold nights, year after year, seeking to make magic for those who still so believed. Seeking to offer 'something more' than what was normally theirs on any other day or night of the year. It was something to realize, of course, that those remembering could not have recalled a single gift they had unwrapped in those years so long before. But they remembered the 'magic.' They recalled the certainty that anything was possible. Oh yes, for at least a while they lived in the confidence that gravity itself could be denied. And later, when they learned how this actually came to be, they remembered and spoke with deep fondness of the love behind it all. And oh, isn't it always our dearest wish for those we love the most, that somehow we might all believe that 'something more' might be theirs in gravity itself somehow denied --- be it only even in flying reindeer and an old man dressed in red who somehow manages to make Christmas happen for all the children of the world in one single solitary night. Oh, don't we want to defy gravity in other ways even more --- all that which keeps us so bound to the earth. Be it Betrayal. Or Dashed Hopes and Dreams. Or Illness. Or Pain. Or Grief. Or Death. And long past the time when we have come to the realization that defying such as these seems to lead us nowhere, one can't really blame us for trying to protect the illusion of this possibility for the small ones among us. If only with our tales of Santa and his flying reindeer. So it was that a few days back I heard this yearning again in the voice of a mother unknown to me. She had called the church with a plea for help. She told me that she had not yet put up a Christmas tree this December for she did not want her five children to hope for what she thought could not be hers to give. Her breaking heart could be felt through the phone line as she spoke of her desire to give them 'at least something' this Christmas. My heart joined hers as we did what we could to make this so. For I found myself saying out loud that children should have something to open on Christmas. I, too, was hoping that somehow in this they might believe that other things might be possible as well: that somehow 'something more' might be theirs this season, too. That --- dare I say it --- perhaps 'gravity itself' might be defied for them this Christmas. And yet, of course, for all of our wanting to deny or defy or destroy what holds us to this earth, the gift and irony of Christmas is that Jesus came to us as he did so long ago in a way that did not defy gravity at all. No indeed, God's own Son came and submitted to being as bound to this earth as you and I. Born to a too-young mother and an at first hesitant dad. In an unremarkable town with not even a proper bed to sleep in. Surrounded by animals and visited by shepherds. It is all so remarkable simply because it is so un-remarkably earth-bound. Except for the angels, of course. Those heralding angels remind us that somehow by Jesus not defying gravity, in the end, gravity and all it symbolizes will be denied, defied, and utterly destroyed once and for all. And it all starts with loving enough to be 'earth-bound.' For while the possibility of reindeer flying through the air towing enough gifts to delight all the children of the world gratifies us for a moment, it is nothing next to the gift of God's Presence, God's Love, God's very Life beside us and within us. May 'something more' be yours this Christmas and always as you remember and celebrate the One who did not defy gravity but who, in great love, became as earth-bound as the rest of us. May the gift of Jesus being earth-bound for us be not only gift but model as we seek to reach a world of people who need the same. And may the certainty of God's great love for you always be yours. For this love is that which promises to deny, defy, and finally destroy all that keeps us bound to earth. St. Mary's Catholic Parish is right across the street from the congregation I serve. It is a busy street that divides us and so it is not often that I have reason to cross it to be in conversation with our neighbors. And yet, this fall I couldn't help myself. For you see, as I parked my car one afternoon I looked up to see someone refurbishing their statue of Mary. Truthfully, I hadn't much noticed "Mary" before. For one thing, if you are directly across the street from her she is hidden behind a large tree. No doubt the one who planted that tree did not fully anticipate its growth. For another, over the years her color had faded. While that tree may protect her from the sun, it cannot fully shield her from the ravages of wind and rain and snow. And so it was that one afternoon I walked across the street to visit with the woman who was working hard to make Mary 'new.' The artist's name is Gloria. She told me that at one time work such as this was her livelihood, but she is mostly retired now. She lives ninety minutes away, but she has a friend in this parish and so was asked to do them this favor. "This Mary is precious to them, I know," is what she said to me. 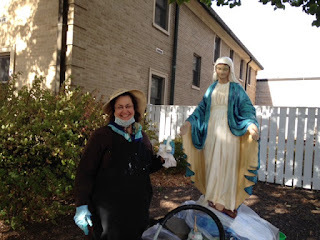 And so for several weeks on sunny days this fall, Gloria could be seen putting layers of paint on this statue which has graced the church yard for longer than most can remember. It was not quite finished on the day I took the photograph above. And perhaps it is a little hard to tell in the shade, but maybe you get a sense of what I do when I pause to look at her now. For what I see is this: Gloria gave the statue texture. Oh, we know it is just a statue, of course. It is but a symbol of the young girl whose song is ours to sing again today. Even so, this piece of religious art which is mine to glance at almost every day reminds me of her centrality to the story which is ours to celebrate in these days. And the new textures which jump out at me speak of the nuances of the experience which must have been Mary's. This young woman whose first response to the angel's greeting was understandably confusion. This one whom the angel urged not to be afraid. This Mary who heard the angel's promise and invitation and apparently had the presence of mind and heart to simply recognize it and receive it. This young woman who could not, would not stay alone with her news, but went as quickly as she could to her cousin, Elizabeth, whom the angel named as also unexpectedly and seemingly impossibly having life growing within her. And yes, this one who, in the tradition of Hannah's Song, speaks words of depth and wisdom and promise and realized hope the likes of which the world then and now so very desperately needs to hear and witness and experience for themselves, for ourselves, again and again and yet again. In actuality, we know so little of Mary, of course. And while it is so that her openness to God's startling, life altering will for her life is remarkable, I do wonder sometimes if in our marveling at what we do know of Mary, we somehow fail to comprehend the angel calling us to the same, in all of our layers and textures. No, of course, perhaps it is unlikely that Jesus will come again in the same way he did so long ago. But is it possible, still, that he might come --- and that you and I might somehow be bearers of him to the world? As Mary did, so might we be called to do as well? And yes, perhaps it starts like it did with an artist named Gloria who used her best talent to portray the first Mary for all the world (or at least those of us who pass by) to see. Perhaps our 'bearing' Jesus into the world once more can begin as we go deep into Mary's story and wonder at what it means and how it looked then and when and where it was and might still be received. But don't you think as we do so faithfully and well that this might be so for us as well? That as we take in Mary's story in all of its complexity and hope, with its textures and layers, that we might recognize her in us and us in her? And that we might see anew that God intends to use us, too, to bring a message of hope to the world? To be those who carry Jesus into the world over and over again? Oh, I can't help but wonder what might come to be if you and I, too, would simply listen for the Angel's Invitation. Indeed, even while we cannot fully know what will follow, what might it look like if we simply respond with open hearts? What do you know of Mary's story? How does this inform how you hear today's Gospel? Do you have a favorite artistic rendering of Mary? What do you see when you when you experience it? Do you think the Angel's Invitation is meant for you and me as well? Why or why not? What would it mean for you to receive that Invitation with an open heart? Indeed, what would it look like for you, your family, and/or your congregation to carry Jesus into the world this year? Baptism with Fire: Now Who Shall We Be? I trudged through the mall on Friday night. 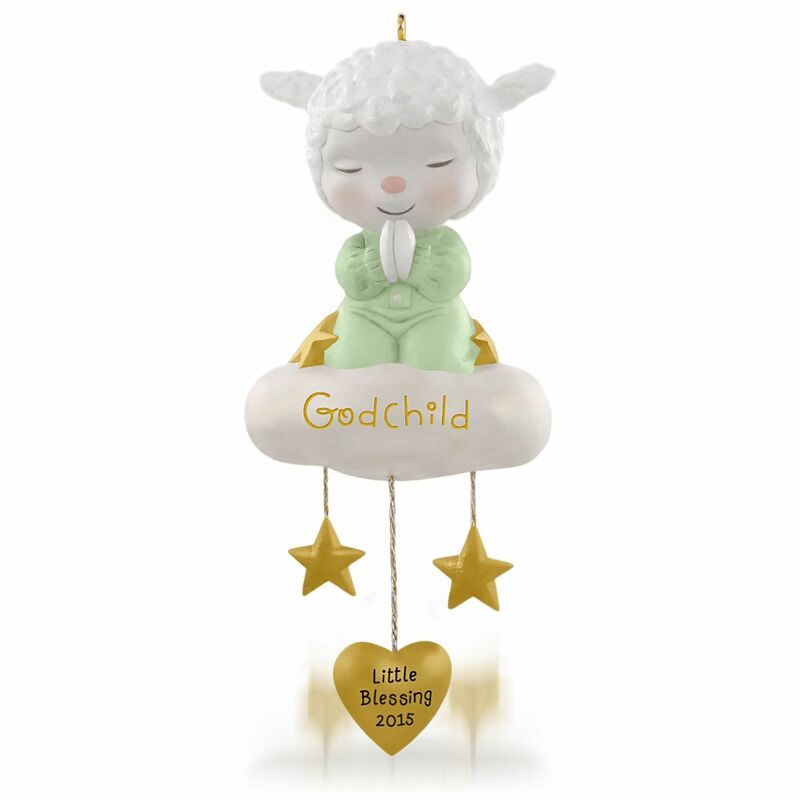 is not a place I frequent often, but at least once a year I make my way to the Hallmark Store to purchase my nephew's Godchild ornament. I started this tradition his first Christmas and even though this is the 19th time I have done so, I can't seem to stop. Never mind that Michael is now a fine young man who has found his footing well in his freshman year of college. Never mind that by now he has traveled to places in the world I have not yet seen. Never mind.... I keep buying these ornaments for him which mostly, as much as I can recall from these 19 seasons, are little lambs in one form or another. His mother has now purchased a small tree to hang them on. And Michael, bless him, even through his teen-age years, has always opened his gift and smiled and thanked me. It is the picture of baptism many prefer, of course, this one of an infant dressed in white. It is, quite simply, sanitized and sweet and in many ways seems a far distance from the one our fiery John directs us to today. For the one John points to behind himself --- this one which Jesus brings--- we are told is more than baptism by water, but is one which brings fire and the Holy Spirit. It is so, of course, that this baptism was Michael's almost nineteen years ago --- and yours and mine as well. Oh, one may have to squint to see it on that day when water is splashed and photographs are taken and the whole family gathers for a celebratory feast. And yet it is there for all to see for in those moments after the water is poured, we make a sign of the cross on the forehead of the one who often cannot yet begin to comprehend the meaning of what is happening to him or her. We make the sign of the very cross on which Jesus died and in so doing we are placing the newest among us at odds with the forces of this world where the likes of greed and violence and hopelessness and despair threaten to prevail. Share what you have plenty of. Don't take what is not yours. Be content with what you have been given. In a world where the challenges are so huge, one wonders how these seemingly small things could make any difference at all. And yet, one at a time, one person after another, seeking to live in these ways? Maybe in the end this would be, could be the beginning of changing everything. Now I don't know, of course, the audience who first heard John's preaching. I don't know the texture of their lives, although I expect for the most part those who went into the wilderness to be baptized by him were not especially rich and powerful. No doubt they were not strangers to the worst of what life in this world can hand you. Perhaps it was so that they took the time to seek out John because they were trying to make sense of the lives they had been given. And so it is that much of the time I would not count myself much like John's first listeners as I imagine them now. Indeed, too much of the time I can get by with believing that I am entirely self sufficient in many ways. "Now who shall we be?" In the wake of this fire, this judgment pointing out the brevity of all that we are, this suffering, who shall we be? And I return to Laura's own words which are at the top of her CarePage where she tells her story beginning with: "My name is Laura. I am a Child of God." And I return again to my now grown nephew and a Christmas tree full of little lambs. And oh yes, isn't it interesting that for all the hardness of the lives of many of his first hearers, John doesn't show them pity? Isn't it something that he still calls them to account and challenges them to be who God made them to be? And so also with us, don't you think? In the wake of whatever fire has been ours, so also with you and me. May we keep wondering who we shall be now. And may we hear the beginning of an answer in John's sermon so long ago. Indeed, may this fire which Jesus brings always burn away that which needs to be burned away: be it pride, or false self sufficiency, or lack of empathy, or greed, or shortsightedness and on and on... May it all be burned away so that you and I might be led to live more deeply and truly as the Children of God that we are. May this always be so. How do you hear John's sermon today? Is it all judgment or is there promise, too? How do you think John's first hearers would be like or unlike those who listen in on his preaching today? When has the fire burned in such a way that it left you wondering, "So now who shall we be?" John offers three ways God's children are called to live. The list seems pretty complete to me. What do you think? For as long as I have been a pastor, I have loved All Saints Day. In some years, I have made the time to walk through a local cemetery --- returning to those places I have frequented in the months past. Other years, time just gets away from me or the weather doesn't cooperate and I simply find myself recalling those who have gone before us. Indeed, I have found the ritual of naming in worship and lighting candles in memory of those who have died --- especially in the past year, but also countless others --- to be a simple but important way to mark our grief and to measure our healing. I have always loved All Saints Day. Only it feels different at 54 than it did at 27 when I first was called to lead God's people on this day. For those saints whom I have known and loved and said good-bye to are growing in number: both those who have shaped me in powerful ways from the start and those I have been called to walk alongside in recent years. Simply put, the losses are piling on. The grief is more complicated, more nuanced, more textured than it was when I first began. Kim, who on the day we met, welcomed me into her hospital room with a wide smile and a kind spirit. She taught me about courage and about hope. I miss her open heart. Mary --- whose great grandchild made the sign of the cross on her forehead the day we shared in the Commendation of the Dying. That same young man will carry the candle into worship in her memory this All Saints Day. These precious ones were not 'my people' even four years ago, but now they are and will always hold a place in my memory. Certainly the brief sentences above do not begin to capture who they were in the hearts of those who loved them --- and certainly not in the heart of God. Even so, as I say their names I remember them in moments of joy and struggle both and I am grateful that for them it is now only all joy. And I realize anew the profound diversity and depth of the people God calls and how the growing number I have come to know and love are but a tiny fraction of the multitudes whom God has gathered home. I have always loved All Saints Day, only it holds a deeper meaning now as I hold closer the memories of so many more. And yes, for some reason, it is so that I come to this November 1st with the grief feeling a little heavier, the shroud a little closer than it sometimes does. Perhaps this is why this season these deaths we grieve and so many others have me tasting my own mortality a bit more than was true a season ago. So I have to say that I am especially grateful for the promise of God through the prophet Isaiah that the day will come when the shroud will be destroyed for we will no longer have need of it. And oh yes, I am so very grateful for the image of Lazarus emerging from the tomb --- a foreshadowing, to be confident that we will one day be "unbound" from all the ways that death obliterates life. Indeed, All Saints Day is a precious day when we can celebrate the Easter Promise with certain dear ones in mind. It is a day, for me, when Easter has a face --- or, actually, many faces. And this year, I find myself especially grateful for this. Who are those whose memories make All Saints Day especially meaningful for you this year? How do you remember them? We celebrate the Resurrection every Sunday, of course. However, does it make sense to you that All Saints Day is a particularly 'personal' Easter celebration? Why ore why not? And so what is this truth that makes us free? I was called upon to preach at our local Hospice Annual Memorial Service a few weeks ago. Those in attendance were primarily family members and friends of dear ones who had died in the past year. I knew their memories would be fresh and their hearts still raw. I had prepared words about celebrating and giving thanks for the gifts our loved ones had given to us. I had grounded my words in God's love and promise to never let them go. Before I spoke though, two hospice nurses stood up and read more than two hundred names of those who had died while under the care of hospice this year. It was clear that only a fraction of those who had experienced such loss had the need or the inclination to gather that October afternoon. And before that there were words of welcome. First from the hospice chaplain. And then from the hospice medical director. Now the medical director is my own doctor. I know him to be a person of quiet faith. I have experienced his kindness. And yes, I have been at the receiving end of his gentle truth telling. Even so, I found myself surprised at his words that afternoon. First Dr. Thornton welcomed and commended those who had gathered for coming at all. He reminded us that to remember is important but it is also hard and it takes a certain amount of courage to do so. Only he didn't stop there. Rather, he went on to speak to us of the suffering we had witnessed and experienced in this past year and the hard decisions which had to be made. Next, he essentially urged those present to remember that one day we would also all die and this would be a very good time to update or make out our own living wills and advanced directives and the like. It was a little jarring, I have to say that. And yet, I expect he knew those gathered better than I --- even if he had not yet met them. For he is that rare doctor who acknowledges the truth of our very human limits --- especially, of course, as we experience them in our physical bodies. He deals with this truth every single day and he chose to speak of it directly with a group who had come against this truth themselves in the not too far distant past. So is this the truth that Jesus speaks of now? Is this the truth which we will discover more deeply as we continue in his word? Yes, in many ways, I expect this is precisely the truth of which he speaks: We are human. We are limited. We are not God. Only God is God. And acknowledging these truths allows us to more faithfully live the lives God calls us to live. And so on this Reformation Day, it is not only ours to speak and hear these truths --- it is also ours to celebrate the freedom they bring. Perhaps we experience this as freedom as it helps us to realign our priorities, our values, our dreams. Maybe this offers freedom from worry about those things which, in the end, really won't matter. Possibly this enables us to freely live our lives in grace knowing that in our human limits, failure will always be part of our lives --- in the same way it will be with our neighbors --- and that forgiveness is perhaps the most freeing thing we can offer or receive. And yes, perhaps this frees us finally to be fully human in the best sense of what it is to be human. This meaning of this freedom to be fully human came home to me in a story told by a member of my congregation who died this past year. Kim was just my age. She was diabetic --- a condition which had plagued her since she was a child. As a result, her physical journey was tough in the extreme. Coincidentally, we shared the same family doctor. She told me this story. Not too long before she died, she sat in her doctor's weeping in her frustration. She so wanted to be better and to that end she had been following doctor's orders every step of the way. Only it wasn't working. Her physical body was continuing to decline. And that same doctor who spoke to families and loved ones a few weeks back about their own human limits, clearly has acknowledged them in himself. For in those next moments he demonstrated that he is no longer enslaved by the expectation that he should somehow "fix" all that ails us. He simply handed her a tissue and cried with her. Oh yes, his acceptance of her limits and of his own, allowed him to be fully human in the best ways God calls us to be. And it all starts with truth, of course. This truth of our humanness and the greater truth of God's great love for us. Oh, there are many truths which set us free, of course. This is simply the one which resounds for me today as I hear Jesus' words. How about you? In your experience how are truth and freedom related to one another? What stories would you tell? What do you think it means when Jesus says "If you continue in my word?" How are we called to do that? My thinking on this is that sin is rooted in our tendency to believe we are 'more than human' and this surely can enslave us. Does this make sense to you or would you go in another direction? Why or why not? When I was a child, my imagination had painted a picture of heaven --- one which may well have been informed by the interaction between James and John and Jesus shared today. Now it is so that before the age of eight, I had little reason to think much of heaven. And then my Great Aunt Esther died. Now Esther was my grandmother's sister. Grandma Anderson had died just a few months before I was born, so Aunt Esther was the closest thing I ever knew to a grandmother. She was not educated by the world's standards. Like many in her generation, she had only completed eight years of formal schooling. Her husband, Glenn, was a laborer --- all of his life he worked hard. I can close my eyes to this day, almost fifty years later, and see the hutch in the dining room which held a thousand treasures for small hands. Indeed, I can still feel the nubs on that brown couch against my face. Esther was a person of deep faith. She lived out that faith in many ways, I'm certain, but I especially remember when we went to visit, my sisters and I would clamor to go to her Sunday School class at St. Luke's Lutheran Church in Waukesha. It didn't matter if we were older than the other children in her classroom, it was where we wanted to be. 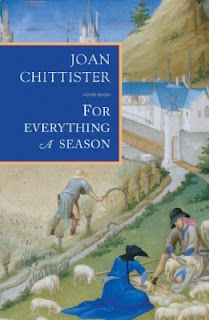 In fact, Esther taught that class for more than forty years. And I remember this: an emergency trip to Wisconsin when my cousin, Michael, was killed in Viet Nam. My mother was urgently trying to get there to be with her sister. I insisted on going along. The grief that marked that journey was lost on the six year old I was then. I just knew I didn't want to stay at home with my sisters and the inevitable 'baby-sitter' who would watch over us while my dad had to be at work. And I knew there would be people who loved me well on the other end of that drive. In fact, perhaps it would be forgotten altogether if not for this. In that time before seat belts and child car seats, my mother had to come to a sudden stop and my face had an abrupt meeting with the dashboard, blackening an eye and loosening some teeth. After having me checked out by her old doctor (no doubt, a detour that was not appreciated that day), my mother dropped me off at Esther's who sat with me on the couch and held ice wrapped in a towel against my face. These many years later I remember her tenderness. Aunt Esther was a servant --- not only to me, but to many. When she died, I had my first taste of grief. And when picturing what had become of her, I was confident she was sitting at the right hand of Jesus. Now it is so that I shake my head a little bit today at my childhood conclusions. For I don't really believe any more that heaven is the kind of place where God has kept track and your assigned 'seat' depends on the score you had accumulated over a lifetime on earth. And even if this were so, probably every one of us has an Aunt Esther who we are certain deserves that special place of honor at Jesus' right hand. It is also so that even as James and John spoke, they were probably not thinking of some kind of afterlife. No, we can be pretty certain that they were imagining a time in the then not too far distant future here on earth where they might just be rewarded with seats of honor for being among the first to follow after Jesus. And yet, even having said all this, as I hear Jesus' response to James and John today, it is possible that as an eight year old, perhaps I was on to something --- even if my picture of 'heaven' reflected the imagination of a small child. Indeed, from what I knew of her, Aunt Esther was exactly what Jesus calls us to be. She followed Jesus with the simple gifts and ordinary life she had been given. And in doing so, she simply served. Indeed, as you can tell, I was the recipient of her devotion. From my own experience I knew that she made small children feel safe and loved. Not that it was probably as easy as she made it appear. For of course, I have no way of knowing this for sure, but don't you think she would have liked to have at least finished high school? Don't you imagine there were days when she wished she didn't have to work so hard to get her husband's work clothes clean? Or that he had a job which paid just a little more? Don't you suppose she wished for a house that didn't shake with every passing train? Don't you think she thought from time to time that she deserved more? Perhaps she even wondered if it wasn't about time someone started serving her. Maybe Esther thought all these things at one time or another --- even as James and John appear to be doing today. Maybe she carried those disappointments deep in her heart. All I know is they never showed. She must have learned to let them go. For all we remember of her is that she loved us well. Indeed, over time, it seems to me, Esther became exactly the sort of follower Jesus calls us to today. Perhaps it is so that like James and John, you and I are only at the beginning of understanding the demands of this call to follow Jesus. And no, maybe none of us will ever get it completely right. At the same time, we are so blessed to have in Jesus the perfect model of what this journey looks like at its most faithful. And yes, we are also fortunate to be able to look back on our lives to see others like my Great Aunt Esther, who embraced what it was to serve. Who is your "Aunt Esther?" Who taught you what it is to serve? What other examples can you offer of those who have drunk the cup that Jesus drank or were baptized with his baptism? How does their witness inform your life? How do the words of Jesus now shape your understanding of what it is to follow him? What will it mean to you to be baptized with his baptism or to drink the cup that Jesus drank? How shall you be a servant? My 7th grade home economics teacher called me a perfectionist. And so it is that we come upon the rich man in this week's Gospel. You remember him, don't you? This one who threw himself at the feet of Jesus begging to know how it was that he could be ensured that the inheritance of eternal life would be his? Jesus reminds him that he already knows what needs to be done. And the man confidently says that well, yes, he's done all that. And Jesus knows. Oh yes, Jesus looks at him and loves him and knows. Indeed, as I hear the story this time through, I find myself wondering if he was a perfectionist, too. For what would it have meant for this man to have kept the commandments all of his life? Indeed, how stiffly he must have held himself since he was young --- taking the utmost care not to step out of line in any way. And yet, it appears that he knows something is missing. He must sense that even though by every external standard he has done it all just right, it somehow isn't enough. He must know this --- else why would we find him today kneeling at the feet of Jesus asking what is left to be done? Now I know there are a number of faithful ways to enter into the encounter of Jesus and the rich man in today's Gospel. Certainly there is the assessment of how difficult it will be for most anyone with any kind of means to enter into the kingdom of God. And there is that profound and much welcome assurance that in the end, not one of us can do this on our own, if at all. Rather, only with God is it even possible and only with God will it be so. And yet, I find myself trying to get into the mindset of the one who prompted Jesus' teaching here. Indeed, I especially find myself wondering why the story points out that Jesus loved him before laying out the true demands of following him. I think it must be because Jesus did not take his assertion that he had 'kept all the commandments since his youth' as arrogance but as eagerness. I expect that he saw a man who really was trying to do the best he could, and who is starting to realize that his best would never be good enough. What he doesn't know yet is that in the end it really wouldn't matter for finally it is not about what we do, but about what God did and does. Oh yes, I think perhaps Jesus felt some measure of pity for him, knowing that he was weighed down not only by 'his many possessions,' but also all those external, perhaps self-imposed expectations of what worthiness looked like. Even if he hadn't experienced it yet, Jesus knew the disappointment and eventual heartbreak which lay ahead of him if he continued on this course. And, yet isn't it difficult to give all that up and to trust another --- to trust God --- with all of it? Perhaps it is easier for those who have less --- less stuff, less ego, less self reliance --- to enter the kingdom of God. Perhaps they have come to realize a long time ago that it really doesn't depend on them. Perhaps embracing that realization as true for all of us would give us, would give me, the freedom to truly be about what matters most of all. To keep attempting to be righteous, yes, but to do so in the service of the poor and the suffering --- those in any kind of need. And when we fall short, to depend on God's grace for the strength to get up tomorrow and attempt the same. I am fascinated by the rich man who kneels at the feet of Jesus today. Is it possible that he actually believes he has kept all the commandments all of his life? Is this arrogance or eagerness? What do you think? Put yourself in this man's place. How would you have responded when Jesus told you to sell all that you own, give the money to the poor, and follow him? Why would you have responded in this way? Why do you think the story makes sure to point out that "Jesus, looking at him, loved him...?" What is it about him that Jesus loves? Where is the grace in this story? Do you hear Jesus' words only as judgment or is there gift in this as well? When I was a young pastor this was a particularly challenging Gospel to preach. It still is, of course, but close to thirty years ago one was especially aware of the mere handful in our midst who had been divorced. Now, though, I am hard pressed to think of a family which in one way or another has not been touched by this: if not they themselves, then a child, or a sibling, or a parent. Somehow, though, I have to say that doesn't necessarily make it any easier to speak of this. And yet, having suggested that it is more common today, I do have to wonder. For, in fact, there was a stretch of several years relatively early in my ministry when every couple I married divorced shortly thereafter. Every. Single. One. I started to wonder what I was missing. Most of them are a blur now, but one I do remember distinctly. The bride to be was a little older than I was. Her fiance was quite a few years older than her. They had both been previously married. She had young children. I was not yet thirty years old. When I sat down with them the first time, I remember him veritably sneering at me --- asking what it was I could possibly offer them, given my age and inexperience. I shouldn't have agreed to do the wedding, and yet I did. Within a year, they were divorced. I remember not being especially surprised. I remember wishing I had shown more courage those months before. And yet, I have also had cause to celebrate with couples who have been married fifty and sixty years and more. I have offered blessings at parties and before the altar. I have witnessed devotion deepen and grow through good times and hard times both. And yes, I have to say I have also seen those who choose not to marry build a devoted partnership together. At the same time, I have seen those, I have known those, who chose not to divorce and who certainly should have --- for the hardness of heart which Moses addressed so long ago had turned to resentment and cruelty --- sometimes dangerously so. And yes, I have known those who have divorced and who really needed to do just that to have any chance at the fullness of life and love God intends for us all. And so it is that Jesus speaks of divorce in today's Gospel. His words fall hard on our ears for when we hear them the faces of loved ones or yes, our own hard earned experiences pass before our eyes and pierce our hearts. And yet, we certainly know what lies behind the words of Jesus today, perhaps especially if they hit close to home. I have not yet officiated a marriage celebration which was not marked by great hope. Couples bind their hearts, their habits, their finances, their dreams to one another. If they are so blessed they are joined by children who are reflections of them now and who catapult them into the future. Divorce is no simple breaking of a business contract. No, it is a tearing apart of much more than that. And it is so that while there are exceptions, very often children are the ones who suffer the most. For far too often one parent is more absent in every way than what can possibly be life giving for those who are most vulnerable. Jesus speaks of divorce in today's Gospel. As he does so, it seems to me he reminds us of the preciousness of each and every one of us. That people are not meant to be used but are to be cared for and treasured as though the one we commit ourselves to were as dear to us as though we were actually physically joined to one another. Oh yes, Jesus is saying that the pain reflected in divorce was not and never will be part of God's intent. And yet, of course, normally that pain began long before attorneys were called and settlements and custody agreements were notarized. Thirty years ago and more the words of Jesus were heard as judgment on those whose lives were reflected in them. And yes, perhaps, too often, those of us whose pain was not so public, were a little quick to judge. Today we may still hear these words as judgment, yes, but not only on those whose hearts and lives have been so broken. Certainly these words fall on all of us as we seek to support those who enter into such tender and fragile bonds with one another. Perhaps we do not do enough teaching, enough modeling,enough praying, enough upholding of each other. Perhaps. Oh yes, perhaps these words are a call to all of us to hold precious those closest to us. Like the little children we all are --- as Jesus urges us to be like in his welcome a few sentences later. What experience do you have of divorce? How does that shape your hearing of today's Gospel? Why do you think the image of Jesus welcoming children comes right after his teaching about divorce? At first glance, it certainly is easier to hear more judgment than grace in this Gospel. Where do you find the Good News today?